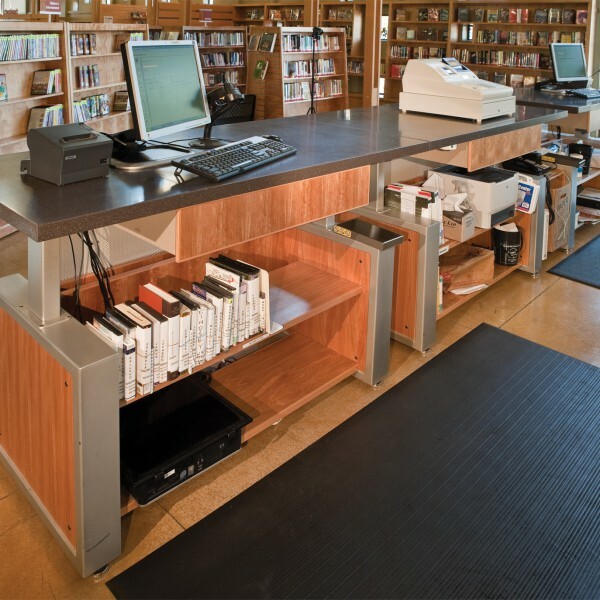 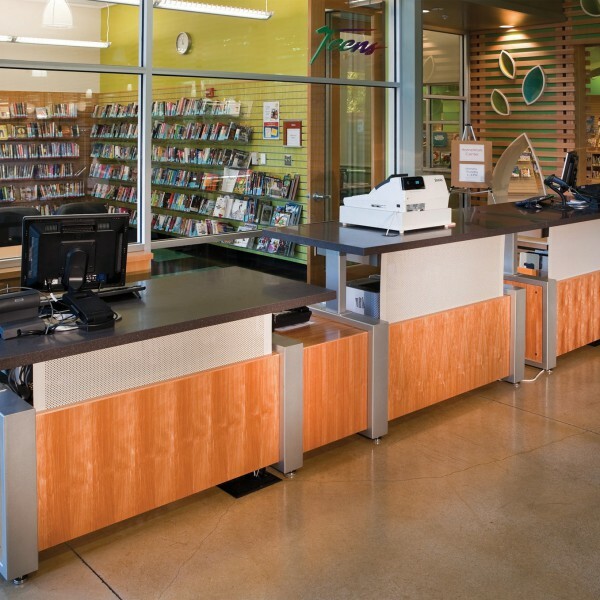 Long seen as one of the most innovative library systems in the country, the San José Public Library has demonstrated time after time that there are creative new ways to deliver service to their customers. 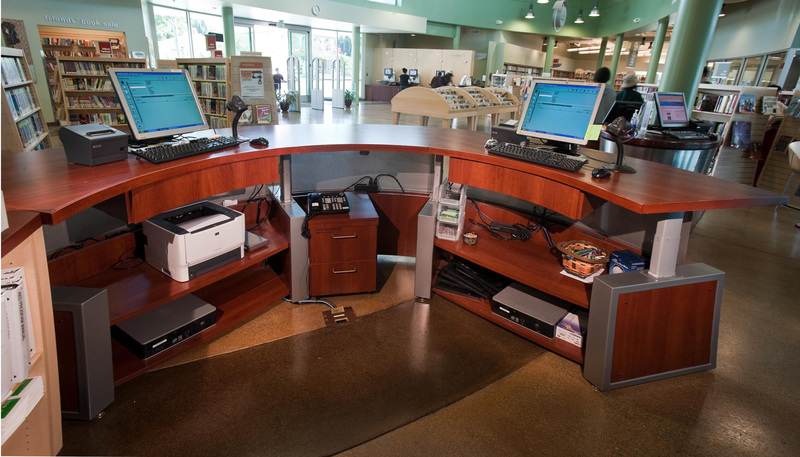 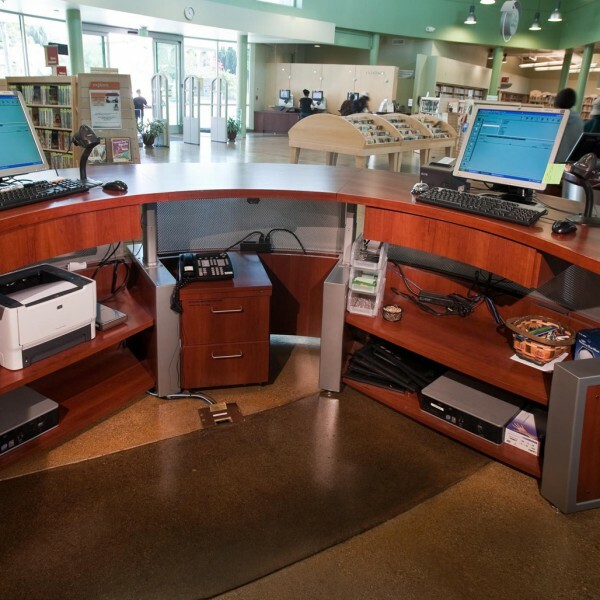 A number of their branches desired smaller service points that offered collaborative work spaces between customers and staff. 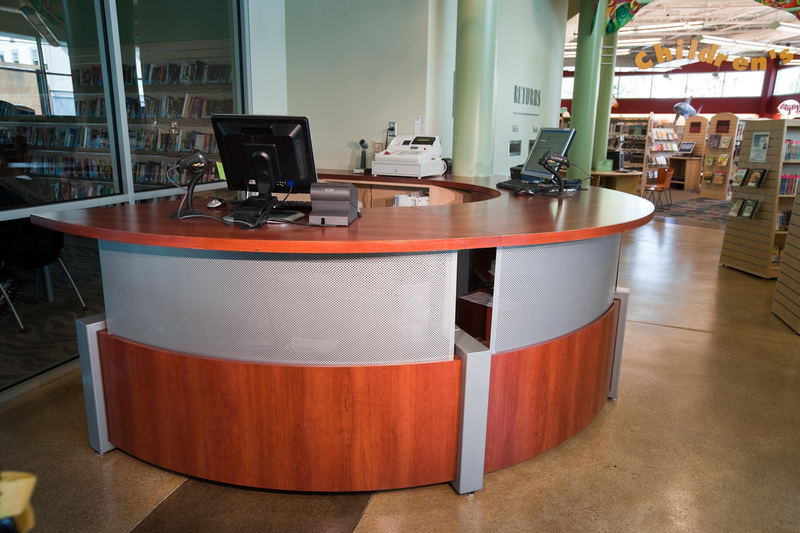 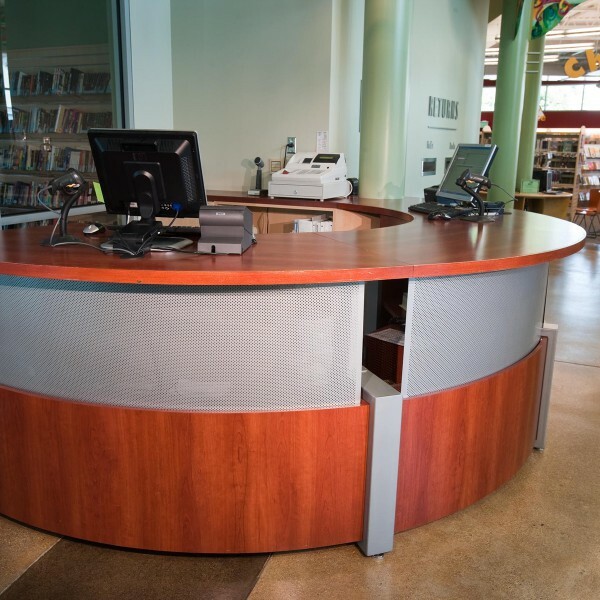 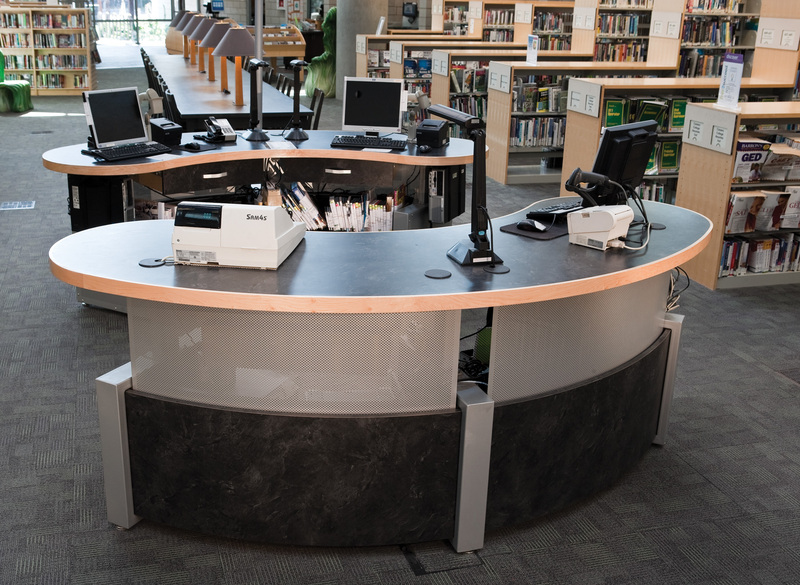 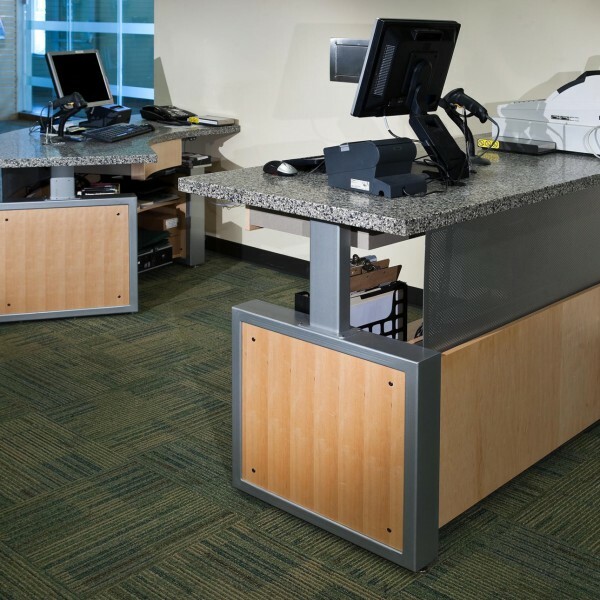 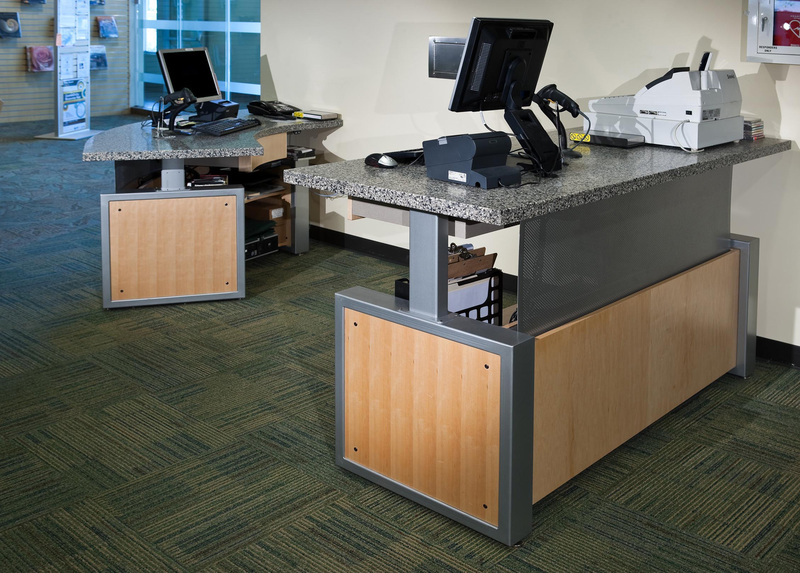 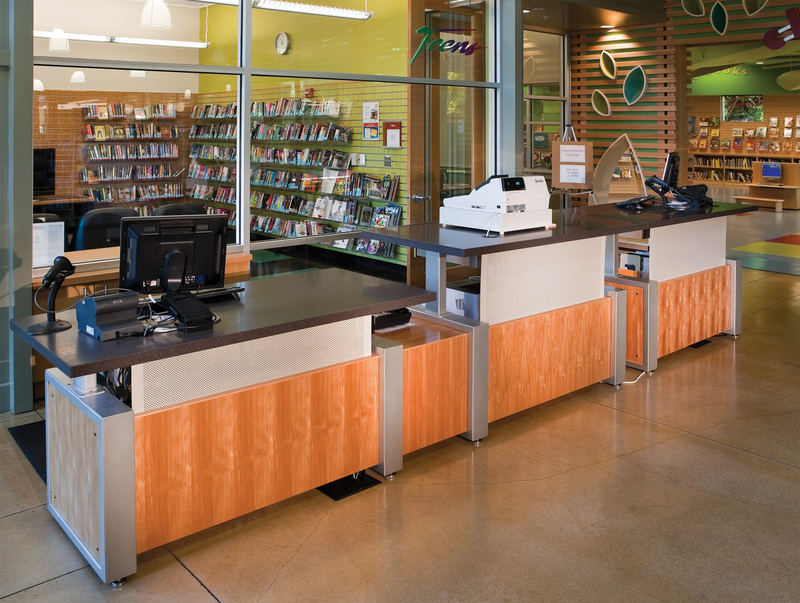 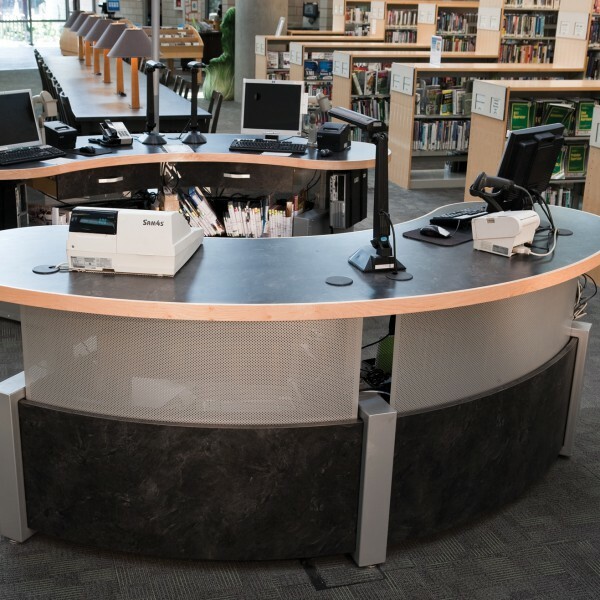 Custom desk elements along with the finishes were customized to match each branch’s existing interior. 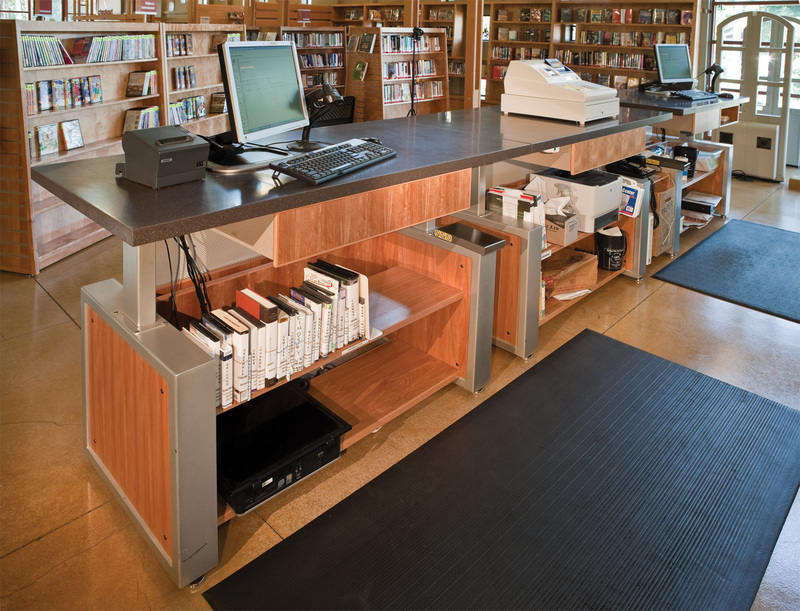 The modular nature of the pieces allows them to be moved and reconfigured throughout the life of the library as space and service needs change.